Home Hot News Vijay & Dhanush To Act in Selvaragavan Movie ? 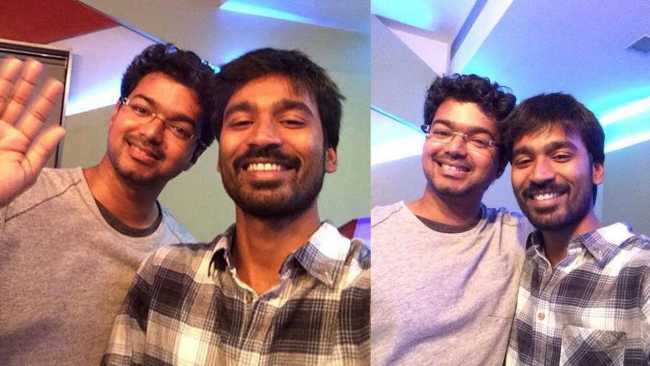 Vijay & Dhanush To Act in Selvaragavan Movie ? Vijay’s 62nd film may be directed by Selvaraghavan. Sources says that Selva had narrated a script to Dhanush and Vijay. Sources say that Sivaji Productions may fund this flick. However, when we checked with our sources, they feel that the chances of Dhanush’s Wunderbar Films to bankroll this project are high.